We should have 23 in stock. Need more? It usually takes us 2 - 4 weeks to bring more in. 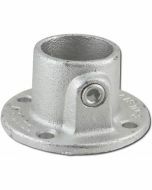 An oval flange for mounting your pipe to the wall or floor, has two holes evenly spaced for mounting. 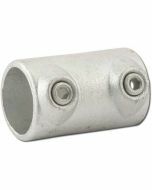 This slip-on pipe fitting is designed for use with standard 1-1/2" pipe (aluminum or steel). 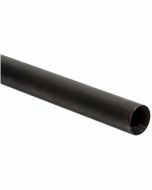 Please note this is Schedule 40, 1-1/2" pipe which has an actual outer diameter of 1-7/8". 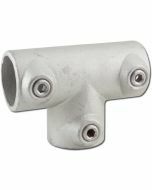 Slip-on fittings are sometimes known as the brand names Kee Klamp, Kee Clamp, Speed-Rail, Speedrail, or Speed Rail. 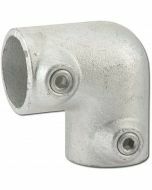 3.7" x 6.25" x 3.8"